Aiseesoft is dedicated to developing the most powerful and convenient mobile, multimedia and PDF Tools. From the very beginning of Aiseesoft, we have developed various kinds of multimedia software tools, covering Blu-ray, DVD, video and audio area. We keep improving our functions and performance, aiming to provide you the best solution to multimedia converting and sharing. Fix crashed, frozen or locked Android phone to normal and extract data for backup on Windows. Excellent All-in-one toolkit that allows you to convert video/audio formats, play Blu-ray movies, create DVD, convert 2D to 3D, transfer iOS data, make your own ringtones and more. Convert 4K video to 1080p, 720p HD and SD videos or convert 4K videos from one format to another popular 4K video format. Fix iPhone from DFU mode, recovery mode, Apple logo, headphone mode, etc. to normal state. the best multifunctional software toolkit for playing/creating Blu-ray disk/DVD, converting, downloading, editing and recording video and audio files on your computer. FoneEraser can erase a variety of your iPhone contents and settings permanently. The largest selections of video, audio, DVD, Blu-ray, and other iPhone data. edicated to transferring files between iOS device and Android device with one click only. A professional Mac management tool to remove junk files, unneeded files, large/old files, and monitor your Mac performance. Total Video Converter gives you a complete set of powerful video conversion and editing tools. This professional and flexible MXF/P2 MXF Transcoding Software offer the best MXF converting solution for users any other camcorders that shoot videos in MXF format. The Best iOS Transfer Software to Manage iOS Files with your Computer / Mac. 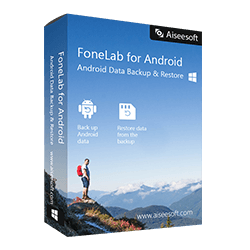 Selectively and flexibly backup and restore Android data. This powerful video screen recording app can help you grab online movies and radio, capture games, make video tutorials, record webcam videos, take screenshot, etc. on Windows 10/8/7. A powerful and safe data recovery software. It can help you recover almost all deleted/lost files like photos, documents, emails, audio, videos and more from computer, hard drive, flash drive, memory card, digital camera, etc. Recover Deleted/Lost Files from iOS Devices on Mac. Get your license key with 50% Discount coupon now! the must-have office presentation helper to convert PowerPoint files to video or create to DVD for easy watching anywhere and anytime on PC/Mac or YouTube designed to convert PowerPoint to video for easy presentations. A powerful player that could play Blu-ray disc, Blu-ray folder, Blu-ray ISO file and common media files and videos smoothly. the professional DVD burner to create local videos from computer or downloads and makes online movies from YouTube, Vimeo, etc. to DVD disc/ISO/folder. Let's settle the issue with the best phone data recovery software in this page. Deleted photos, videos, text messages, phone number, contacts, and more will be back within minutes. A professional video enhancement software. It enables you to enhance video quality, rotate and flip video and edit/crop/clip/watermark video. Aiseesoft PDF Converter Ultimate is the all-in-one PDF Converter for you to convert PDF to word, text, EPUB, HTML, and image with super high quality.